Information and details about keeping backyard hens in the City. This program enables residents to keep backyard hens. There are 50 sites registered in the program. All new applicants will be added to a wait-list. The Urban Hen Keeping Program allows for 50 participants. As of April 18, 2018, all 50 spots are full. If you would like become a henkeeper, please apply following the steps below. Your application will be added to a waiting list in the order that it is received, and you will be notified when a spot opens up. Incomplete applications will not be considered. It takes commitment and responsibility to care for hens. The City of Edmonton’s Urban Hen Keeping Procedures and Guidelines help residents understand what is required to be a safe and successful hen keeper in the city. Each hen keeper must complete an introductory urban hen keeping course that is specific to an Alberta context. It is also recommended that each licencee have support and assistance from a recognized mentor for their first year of hen keeping. Courses are offered by the River City Chickens Collective. *Note: additional building permits may be required in some circumstances. Certificate of completion (or equivalent confirmation of completion) of an urban hen keeping course. Permission from the property owner. If you are not the owner of the property on which you plan to keep hens, please include a signed letter of permission from the property owner. Proof of neighbour notification must be included in order to receive an Urban Hen Keeping Licence. Please print off the required number of copies of neighbour notification letters and have each neighbour* sign one. Submit all signed letters as part of your application. If a neighbour refuses to sign, or cannot be reached, please indicate that on the letter. Please note the date when the letters were given out in your application. *Neighbours are defined as the owner of each property abutting the applicant’s property, including those who live across a lane, but not across a street. In the case where neighbouring properties are apartment buildings, building managers are to receive the notification letter. Neighbour notification letter. Proposed hen breed and number of hens. You must keep a minimum of three hens and shall not exceed six hens per site. Roosters are not permitted. a minimum of 0.9m from any other buildings on the site. Our team will work with applicants to ensure that their proposal complies with both the Zoning Bylaw regulations and the Animal Licensing and Control Bylaw. Staff can also assist with site plan revisions if needed. If you have questions about the Zoning Bylaw regulations and/or Development Permit process for hen coops and runs, you can contact 311 and ask to speak to a Development Officer. If you have questions about the Urban Hens Program, the Urban Hen Keeping Procedures and Guidelines, the status of your application, animal welfare, or complaints and concerns, please contact 311 and ask to speak to an Animal Control Officer. *Cost depends on how you source materials. A coop and run built from recycled materials could cost $0, while one built from new material could cost over $1000. When building your coop, remember it needs to work for all seasons. Ensure it will provide adequate ventilation and insulation for winter months, as well as summer months. Once your application has been approved, set up your coop and run in accordance with the submitted site plan and the Urban Hen Keeping Procedures and Guidelines. Once your licence has been approved by the City, apply for your Premise Identification (PID) number. As part of the Province of Alberta’s Animal Health Act, owners of poultry (including small urban flocks) must have a premises identification account and premises identification number for your hens. This requirement is a part of a traceability system designed to address potential threats of disease outbreaks that could affect animal health, public health and food safety. Notify the City once all the above steps have been completed. City Animal Care and Control Peace Officers will inspect the site to ensure that all guidelines and requirements have been followed. Now you are ready to get your hens! Adjustments may need to be made if any significant issues are noted, prior to issuing a final licence. You are responsible to care for your hens and site in accordance with the Urban Hen Keeping Procedures and Guidelines. You will be held accountable for the health and welfare of your hens. Failure to provide them with humane care could be considered an act of cruelty and could result in fines and/or charges. Egg production is for self-consumption. No sale of eggs is permitted. Manure must be removed, discarded, and /or properly composted to prevent nuisance orders. The City of Edmonton has resources and workshops on composting that can support you. Poultry keeping is enforced under Section 27 of the Animal Licensing and Control Bylaw 13145. Animal Control Peace Officers will respond to all complaints and initiate investigations when warranted. When enforcement or other animal husbandry issues arise, City administration will work with hen keepers, neighbours, and other external stakeholders to ensure they are addressed and resolved in a timely manner. Failing to comply with the terms and conditions of an Urban Hen Keeping Licence may result in a fine of $100, or a licence being revoked. Keeping hens without a licence will result in a $500 fine. All public complaints shall be directed through 311; this reporting approach is consistent with the City of Edmonton bylaw complaint process. In late 2014, the City of Edmonton began to implement an Urban Hen Keeping Pilot Project involving 19 sites. The goal of the pilot was to further understand the impacts of urban hens and to determine good husbandry principles within an urban context. Additionally, the results of the pilot project were intended to gauge the viability and establish a framework for a potential Urban Hen Keeping Program. 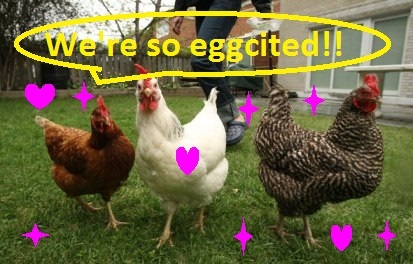 On March 7, 2016, the City of Edmonton’s Community Services Committee agreed with City staff to extend the Urban Hens Pilot Project for another year and to increase the total number of Urban Hen Keeping Licences from 19 to 50. The Urban Hens Pilot Project extension allowed the City to further study the potential issues and concerns that are associated with keeping urban hens. Administration reported back to Council on April 28, 2017 on the results of the extended pilot, reporting that the overall program intention is on track. The results of the pilot help to ensure that there are appropriate regulations, care and management of urban hens in Edmonton. Thank you to all the residents who participated in the first and second phases of the Urban Hens Pilot Project, and to the River City Chickens Collective for supporting the project. For more details about the findings of the first phase of the pilot, please review the report and attachments that were presented to City Council on March 7, 2016. Poultry keeping is enforced under Section 27 of the Animal Licensing and Control Bylaw, 13145. Standard setback requirements for hen coop and run structure locations are outlined in the Zoning Bylaw, 12800. ​Recommendation 3.4: "Examine opportunities for citizens to keep bees and raise hens", by "partner[ing] with local non-profits to assist in the evaulation and implications of allowing urban backyard hens. City staff to report findings to City Council". The Animal Health Act requires all livestock operations to register with Alberta Agriculture and Forestry, including small urban poultry flocks.